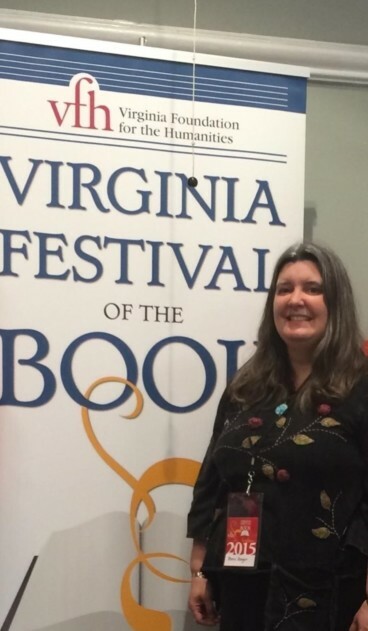 Beth Gager, Region Ten’s Coordinator of Consumer Empowerment was one of three authors featured at a March 19th session of the Virginia Festival of the Book. How to be Your Own Hero in Mental Health profiled 3 authors, one of which was Beth Gager, author of A Rooted Mind: Saying yes to beauty, wellness and deeply-rooted mental health. Beth was joined by authors Wendy Palmer and Michele Phillips. This Virginia Festival of the Book entry was hosted by Mental Health America, Own Our Own, National Alliance on Mental Illness (NAMI), and Region Ten Community Services Board. Region Ten congratulates Beth as a new author and for her successful participation in Virginia Festival of the Book.